Hospice of San Luis Obispo County was looking to revitalize their branding and update their website to include an event calendar to list their support groups and events. Good Electrons built them a new logo and a stellar site with an event calendar that is so easy to use it can be maintained by their entire staff and group of volunteers. 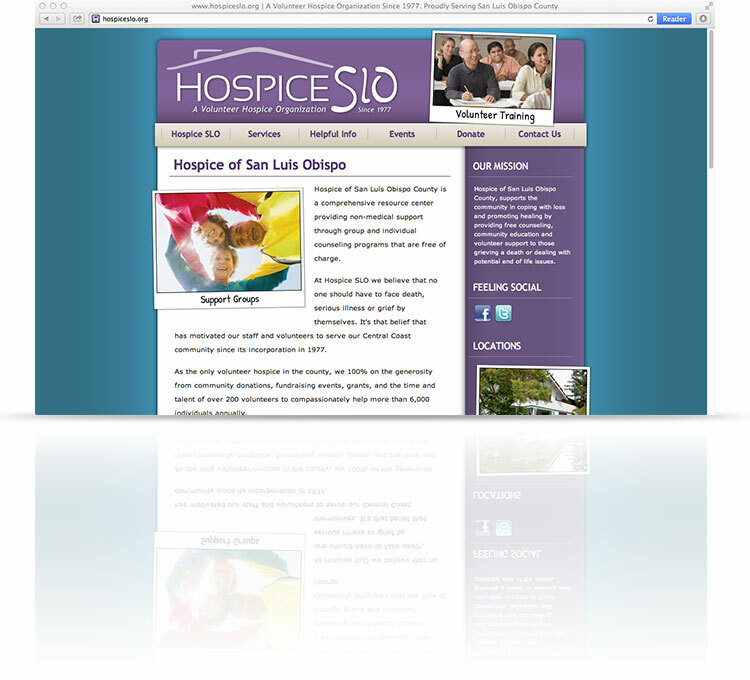 Hospice SLO was so happy we ended up helping them expand our web campaign to all their print media. We're proud to be able to support such a helpful and involved San Luis Obispo County non-profit.